Tom's Valentine's Day Favorites - Shane Co. This year, our Valentine’s Day collection is filled with sparkling gifts of love. From delicate diamonds to radiant gemstones, these pieces will surely say “I love you.” But it’s no surprise that Tom Shane has his eye on a few pieces that he considers his favorites! Tom has always been a fan of colorful gemstones. With that said, it’s easy to see why this matching garnet set is at the top of his list. 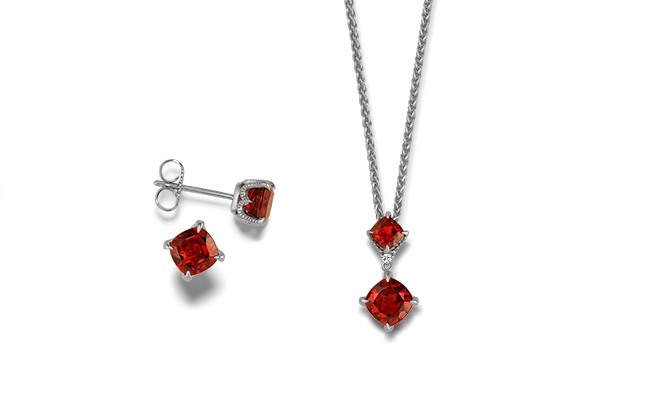 The cushion cut garnet earrings add flair to the simplest of outfits, while the beautiful pendant is sure to turn heads. Put some color in her world with a gift of gemstones this Valentine’s Day. 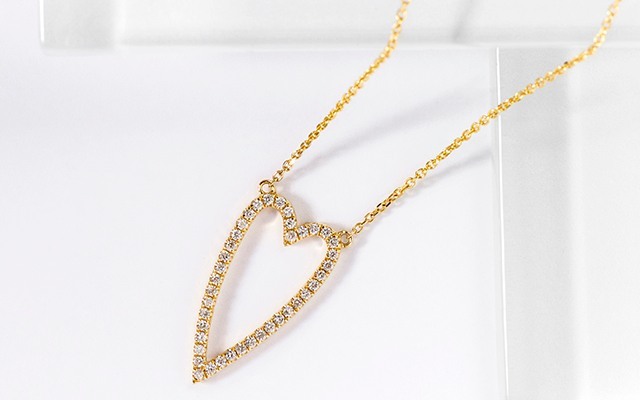 No one knows diamonds like Tom, and this diamond heart necklace is extra special with its unique design and dazzling shimmer. Dress it up or dress it down, this necklace is a perfect staple for any woman’s jewelry collection. 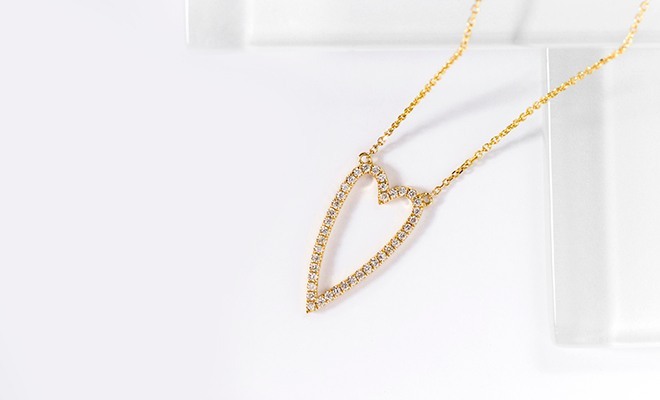 Crafted in quality 14-karat yellow gold, this piece boasts beautiful sparkle with 40 round diamonds. Tom would be the first to say that these diamonds will make the perfect gift for your sweetheart.